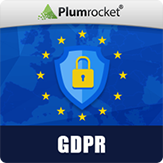 Request a discount code and provide your proof of purchase of any third-party Magento GDPR extension in order to qualify (accepted proofs of purchase are: PDF or screenshot of Order Confirmation or Order Invoice. 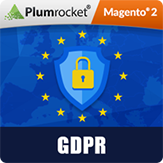 You can also provide access to your Magento backend with the third-party GDPR extension installed). Step 2. Get Your Discount Code! Our sales team will review your request and provide you with a discount code. * Limitations: Our support team reserves the right to accept or reject any discount requests for any reason. Only one discount per customer.